Let two of our technicians extend hand and feet services simultaneously on our luscious, comfortable sofa. 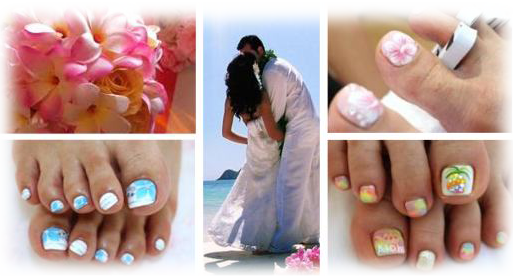 Waste no time in scheduling your vacation when you can finish your nail service in a short amount of time. Please inquire with a nail technician upon reservation. We use real power stones in powder form. 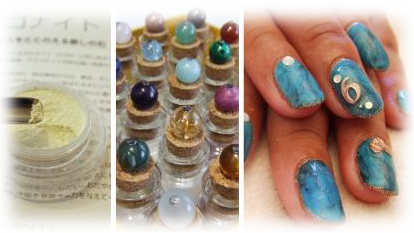 Using specialized techniques, we will recreate power stones to the shape of your nail with authentic embellishments. *NOTE: Hard Gel and other applications (unresponsive to acetone), requiring filing, will incur an additional removal charge, starting at $2/finger. *NOTE: 3D Nail parts, glitter, nail sticker, heavy coats of polish will incur a removal charge, starting at $5. *NOTE: Please bring your own beach sandals (nothing touching your toe nails) should you receive pedicure services. *NOTE: Extensive amounts of callous will incur an additional charge. Simultaneous hand and foot service in the comfort of our sofa. Feel like a Princess with ultimate service. 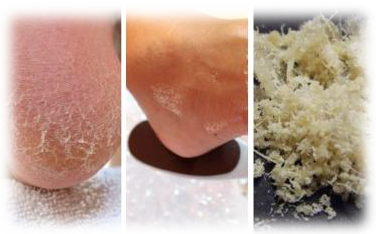 Scrub: Using aloe and various seaweed extracts, a healing effect is produced, leaving your feet smooth and silky. Mask: A moisture mask; we offer various aromas pertaining to the season (i.e. whitey, lavender, olive). Full of Vitamin C and various nutrious extracts, resulting in a firm, yet moist and fresh skin. Nail Art Designs, Pictures, Patterns, Rhinestones and more. Simple and Elegant, Hawaiian designs, we are constantly adding new designs. We will cater to your requests in incorporating the artwork that fits you. Please see our Design Sample Book or talk to a nail technician. *NOTE: Prices vary with the type of design. 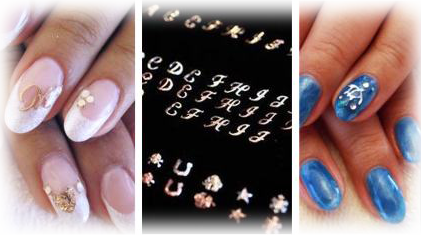 Let us create your own nail tips, reusable in any situation or to match your outfit. Perfect for those who aren´t able to do your nails due to work or school but want to enjoy the same excitement and pleasures of a nail design. 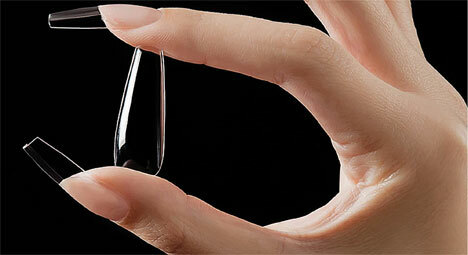 Tips are crafted to perfectly fit each nail shape and size. 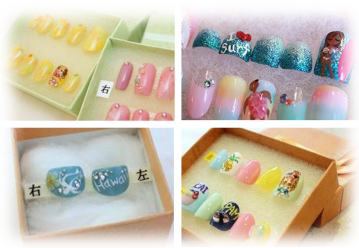 Your one of a kind,only set in the world, removable nail tips! Started in 2007, we carry jewelry custom shaped to fit perfectly on your nails. Initials, hearts and motifs total to 94 designs. We use real silver and 14k gold, so pieces can be used repeatedly for years. We will incorporate your desired jewelry into a selected design. 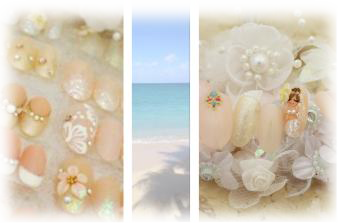 Hawaiian Nail Jewelry can also be purchased as a gift or for yourself without nail services. Available for friends, family, that special someone for a special occasion, a gift certificate is the perfect present to show love, care and thanks. 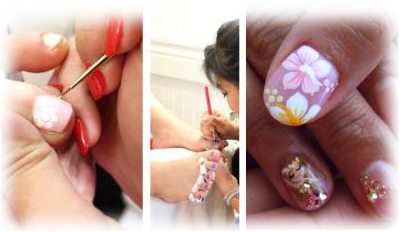 Gift Certificates may be applied to nail services at your requested amount. We do not include state sales tax and tip in our basic prices for products and services. The state of Hawaii sales tax is 4.712%, and is calculated from the total amount of products or services. In accordance with American customs, we ask for a 15% gratuity, based off the total amount.